Many thanks to all involved in making the 2018 Les Allcorn 10k and Junior Fun Run a superb success once again. Gareth BREESE did a fantastic job as race organiser and he was helped out by many committee members, Harriers, as well as their friends and family. Gareth would like to thank in particular Sue SKIRROW, Brenda MALLEN, Geoff CAMPBELL and Mark DOCTOR for their help. 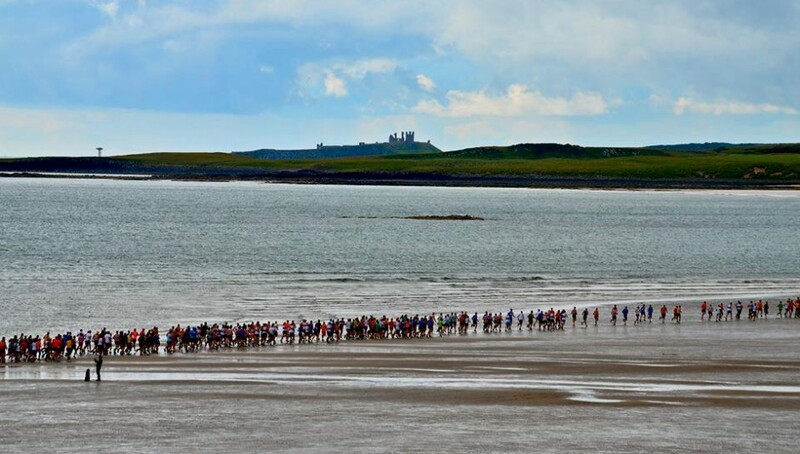 Also thanks to His Grace The Duke of Northumberland, Rapid Reaction and everyone else who made the race possible. On a gorgeous night in Hulne Park an above average 152 Seniors tackled the 10k, whilst 61 Juniors most of whom were from Alnwick Harriers tackled the “Fun Run”. Congratulations to the Senior race winners who were Kurt HERON of Ashington Hirst RC and Jane HODGSON of Morpeth Harriers who won for the 2nd year running! For the Juniors the winners were both from Alnwick Harriers, Ollie TELFER and Lauren BROWN. Lauren completed a hat-trick of wins in the Junior race! There were also age category wins from Max MURRAY JOHN, Jack PRICE and Molly JOHNSTON amongst others. In the Senior 10k race there was one of the closest battles for some time in the event with Ashington Hirst RCs Kurt HERON and Darrell HASTIE of Gala Harriers going hammer and tongs, with Kurt outsprinting Darrell at the end to win by 3 seconds in 32.47. 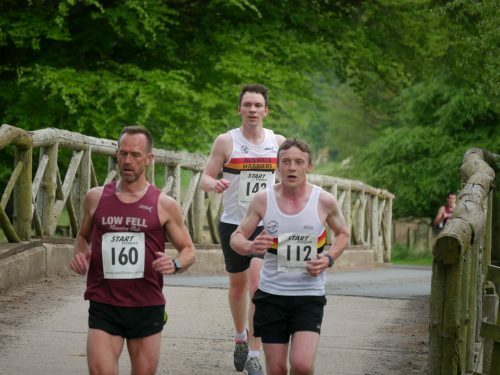 Third home and 1st of our runners was David MILNE, one place down on last year though in a quicker time. As with last year David was backed up by 4th placed Dan LENG and 6th placed James WILLOUGHBY to win the male team prize! 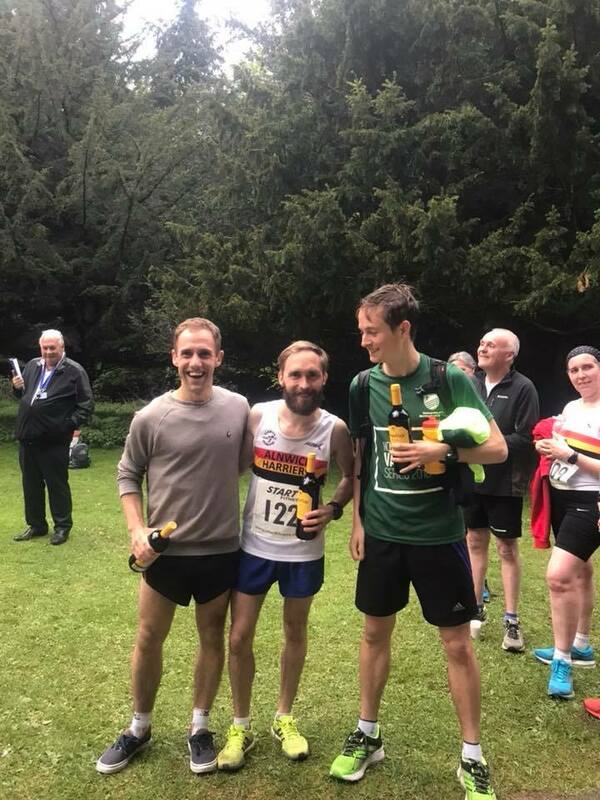 Age category winners were Andrew HEPPELL (male 40) of Gosforth Harriers, Andrew HUSSEY (male 50) of Cheltenham Harriers and John JAMES of Heaton Harriers (male 60). For the ladies there was a 3rd victory in the race for Jane HODGSON of Morpeth Harriers, retaining the trophy she won last year. Jane was almost a minute faster than in 2017 and was a whopping 5 minutes ahead of 2nd female Michelle BARTLETT of Banbury Harriers. 3rd finisher was Jesmond Joggers Laura CHEETHAM. Jesmond sent up a decent number of athletes which helped them to comfortably win the female team prizes courtesy of Laura, Kate ROBSON and Ella FOREMAN. Other winners were Leanne HERRON of Blyth RC (female 35), Karen KELLY of Alnwick Harriers (female 45) and Jenny FRIEND of Heaton Harriers (female 55). Elsewhere for the host club Steve CARRAGHER was 10th overall, with Allan FOGGON and Jon ARCHER also in the top 25. 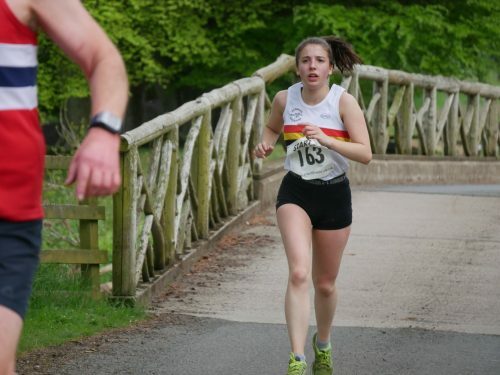 For the ladies Jo POWELL impressed once again as 2nd Harrier home, whilst Eve BUDDLE was next. It was great to see youngsters Eve, Robert STEPHENSON and Sophie ENSER taking part. Many thanks to Cameron PRENTICE for the photos! 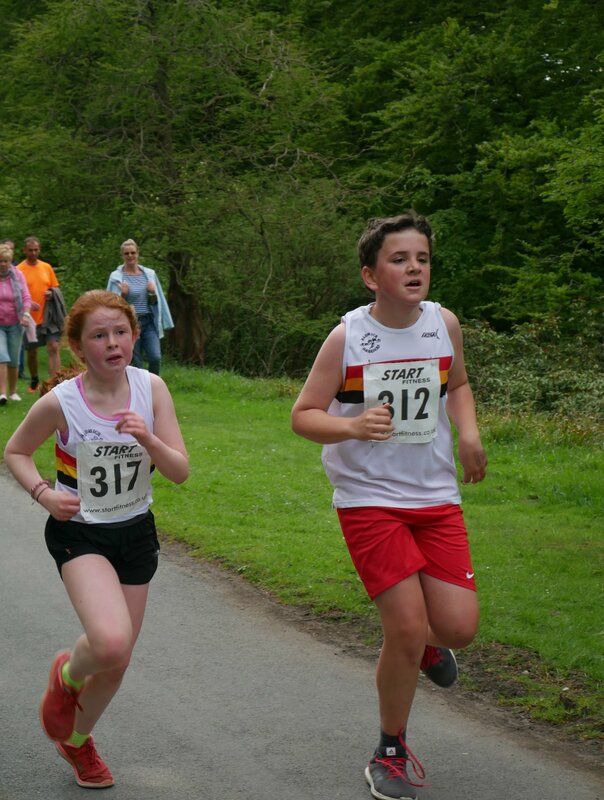 Action shots are of Katie Lou FRIEND/Finlay TELFER in the Junior Fun Run, Allan FOGGON/Jon ARCHER and Sophie ENSER. Also pictured are our victorious mens team of MILNE, WILLOUGHBY and LENG! 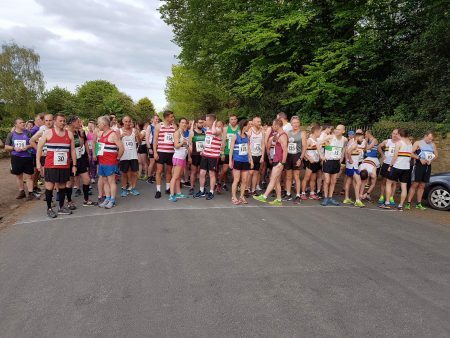 The 2019 Les Allcorn 10k and Junior Fun Run is provisionally set for Tuesday, 14th May!